Liverpool & Manchester Railway 0-4-2 No 57 'Lion' approaches Dunchurch signal cabin circa 1961. Lion appeared in three films, 'Victoria the Great' in 1937, 'The Lady with the Lamp' in 1951 and most famously of all 'The Titfield Thunderbolt' in 1952. This latter film was to make her something of a celebrity in view of its popular appeal both to the public and railway enthusiasts. Lion was stored at the Crewe works and was not seen by the public, apart from her film appearances and railway publicity events such as that seen above. In 1967 she was loaned to Liverpool Museum by the Liverpool Engineering Society who then gifted her outright in 1970. 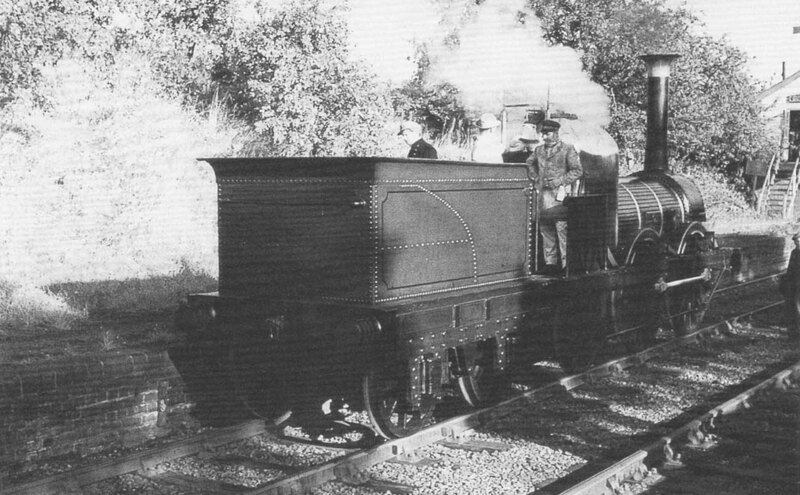 In 1980 Lion took part in the 150th anniversary celebrations of the Liverpool and Manchester Railway at Rainhill under her own steam. Afterwards she made a number of working appearances at railway heritage centres and museums until 1989 when she was withdrawn from steaming for conservation reasons. Following a condition survey in 1992 which showed that Lion's original structure would need substantial modification if she were to be steamed again, the Trustees of National Museums Liverpool decided, on the basis of Lion's internationally important status, to conserve her for museum display only.